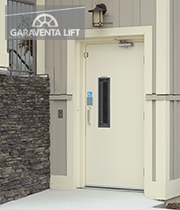 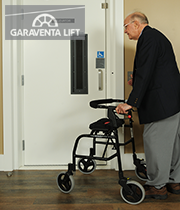 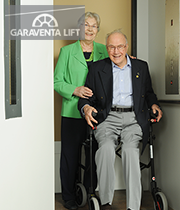 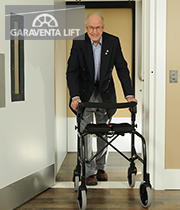 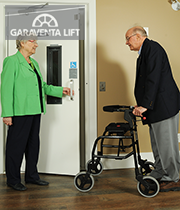 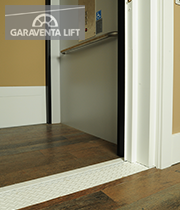 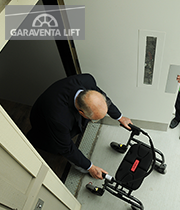 Summary: The Elvoron CPL is a vertical wheelchair lift with a full height cab and a ceiling (non-weight bearing). 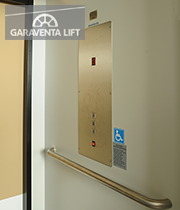 This gives it the look of an elevator, but with the constant pressure controls of a wheelchair lift. 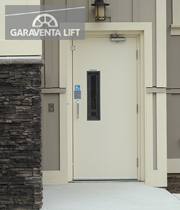 The hoistway entrance doors are 1-1/2 hour fire rated doors with vision panels. 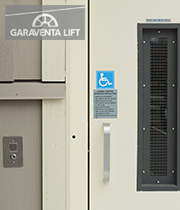 Access through the one exterior door is controlled by a keyed call station at the outdoor landing.\.